We talk exclusively to Adam Hunter, head of development at London-based Goldenstone, about what the company stands for and the highly anticipated projects launching over the next few weeks. First off, please tell us a little about you. Architectural design is something I’m truly passionate about – I qualified as an architect in 1999 and have spent over 20 years working in the industry, carving a career focused on designing properties with meticulous attention to detail. 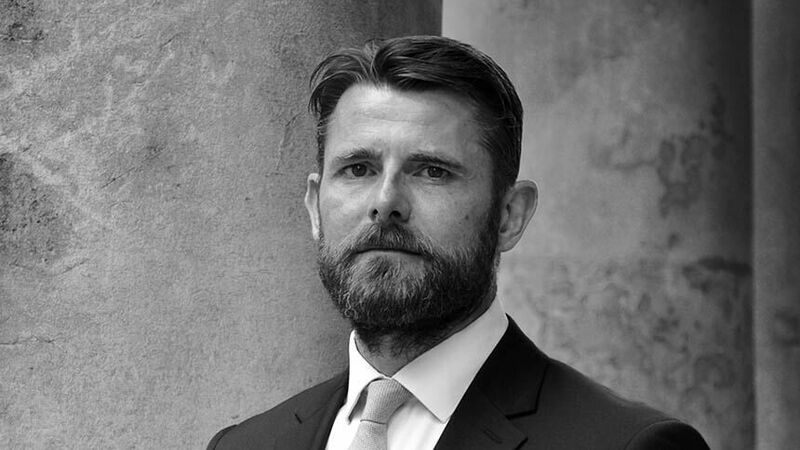 After gaining valuable experience at two leading architect practices, I joined luxury property design specialists, Finchatton, back in 2010, as project director. After seven years working on a number of exciting projects, I moved over to Goldenstone last summer, looking for a new challenge. Please tell us a little about Goldenstone. 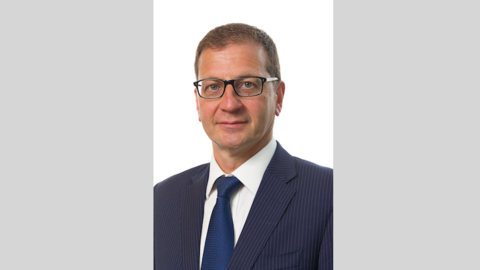 Goldenstone was established in 2014 – so as a company we are fairly new to the London property scene. However as a team, we have a very impressive combined pedigree of experience to draw upon. Our focus for the last 18 months has been spent evolving the concept, design and procurement for our first three high-end, boutiques schemes. We are launching all three this month – and hopefully they will show the market how serious we are about creating truly ‘design-led’ schemes. How does Goldenstone stand out from the crowd? We are not a volume housebuilder, we specialise in creating bespoke homes for discerning and design-conscious buyers. In order to do this, we are selective in our choice of land acquisition, securing only prime locations suitable for the creation of unique boutique schemes. 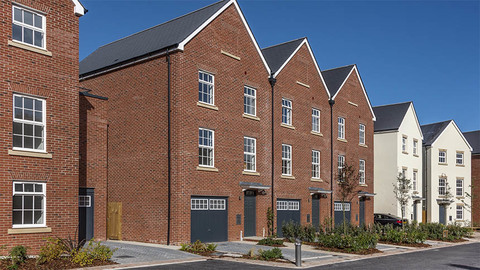 All our developments are managed and designed in-house by our own team, to ensure we control the quality and delivery, whilst maintaining a bespoke design-led approach. This enables us to apply rigorous architectural principles to every home we create. What core values underpin your business? For design, with a distinct approach to design and a refined understanding of contemporary aesthetics, the Goldenstone team appreciates that trends come and go, but intelligent design and attention to detail is timeless. Striving to create beautiful spaces, we push boundaries and challenge convention to consistently set a new benchmark in residential development. When it comes to craftsmanship, attention to detail is meticulous and resonates throughout every scheme from inception through to completion. While calibre is uncompromising, every home is designed to offer the utmost in flexibility – maximising use of space and adaptability to accommodate changing needs. In terms of collaboration, a curated team with peerless expertise, drawn from the realms of architecture, design and project management is handpicked for every project. Our respective experience ensures that every scheme is unique, has a tangible personality, and, moreover, is unparalleled in its finish. For context – exercising the greatest respect for the location of each scheme, its existing architecture and the neighbouring vernacular – Goldenstone designs and executes projects that blend with, and enhance, the surrounding streetscapes. Relating to communities, without exception, Goldenstone upholds a responsibility to ensure that its buildings and public realm undergo unequivocal improvement, and benefit not only residents but the surrounding community too. What are you upcoming launches? 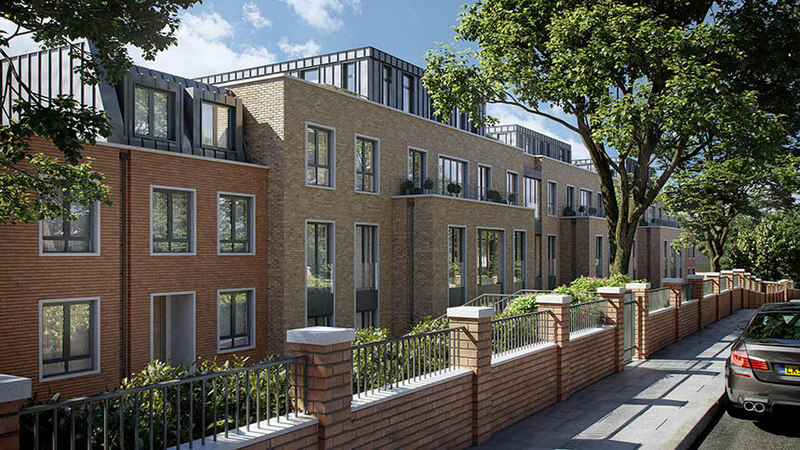 Oakley Gardens, Hampstead is the first launch at the end of September in Hampstead - one of the capital’s most popular residential destinations. 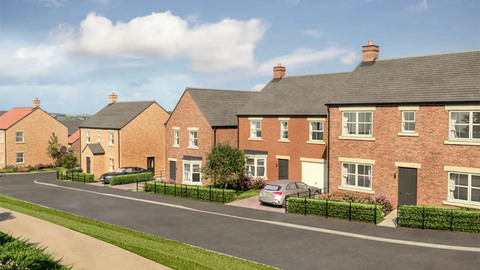 A collection of 35 new homes – a mix of apartments and town houses - designed with a classic twist on the local Victorian architecture. The façade features a mixture of pale and red exterior brickwork, enhanced by stone surrounds to the windows. Internally the properties are characterised by the finest in classic contemporary design with modern statement kitchens, floor to ceiling windows and bespoke joinery. Each comes with secure allocated car parking, (and an electric charging point) a rare proposition for Hampstead. 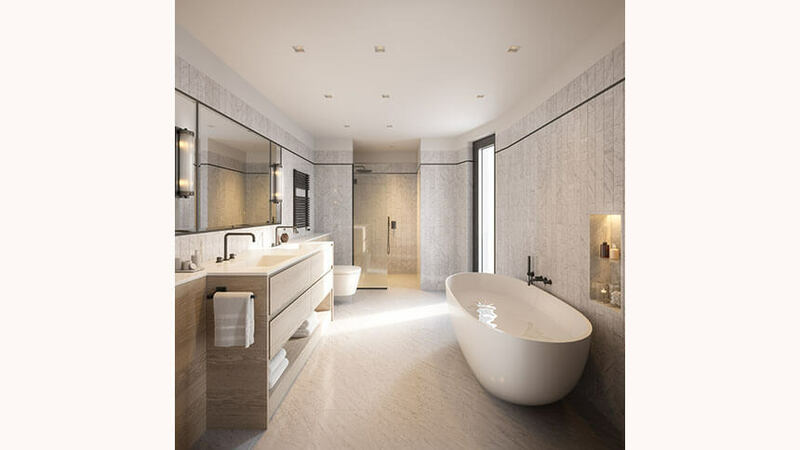 The Old Dairy, Bloomsbury is a high end boutique scheme of just 13 properties, apartments and townhouses being released for sale. Set in a private mews on Wakefield Street, overlooking St George’s Gardens, it is located on the former site of Express Dairies (responsible for bringing milk to London by express locomotive in centuries past). This contemporary take on a traditional mews features a multi-gabled roofscape that emulates the architectural style of the once thriving dairy. New build homes are a rarity in Bloomsbury, so The Old Dairy is a unique proposition for local residents keen to remain in the area and those aspiring to join. They say once a Bloomsbury resident, always a Bloomsbury resident, so in general, opportunities to buy in are few and far between. 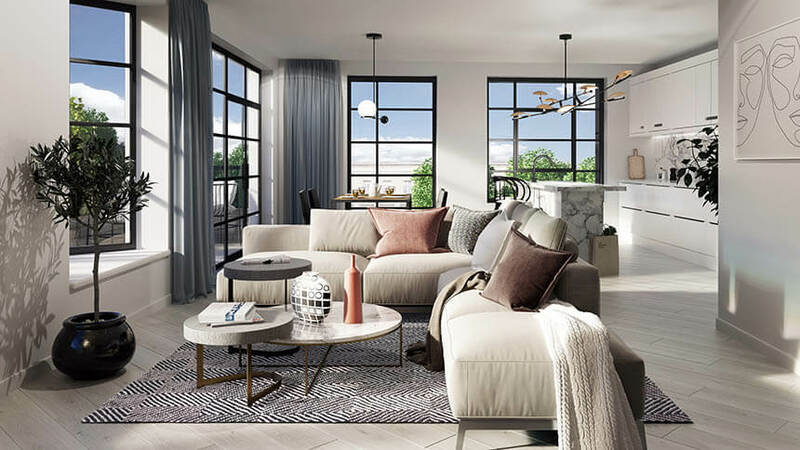 Industrial chic is reimagined at The Osborn – a boutique collection of 15 apartments situated just off Brick Lane in the heart of London’s coveted E1 postcode. The Osborn occupies a former 1940s warehouse, the façade of which has been restored by renowned architect, Moreno Masey to complement its locality. Internally the homes are arranged over four floors with a penthouse creating the crowning glory. Exposed concrete ceilings to the living rooms and master bedrooms have been retained to evoke a sense of its urban heritage, reflecting the site’s former industrial incarnation.